IMPORTANT NOTICE! It is the policy of the ACND to actively and aggressively prosecute individuals who dock in our harbors without authorization! Transient boaters (visitors) are asked to register ( even if not paid) within two hours (2 hrs.) of arrival at an ACND Harbor. Call 1-361-729-6661 or after hours (24 hrs.) at 1-361-385-0525 or 1-361-385-0524. In the event that you cannot reach someone, leave a voice message on either phone (particularly the 385-0525 number), advising of your boat name, your name and the approximate location where you are docked. Thank you for visiting our Harbors. 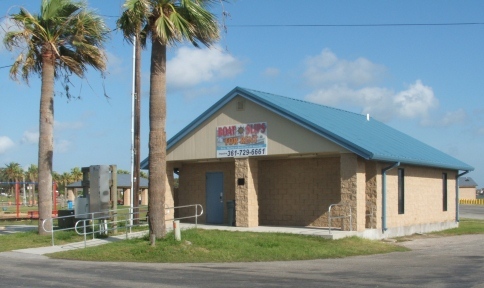 Aransas County is the home of the Cities of Rockport and Town of Fulton. 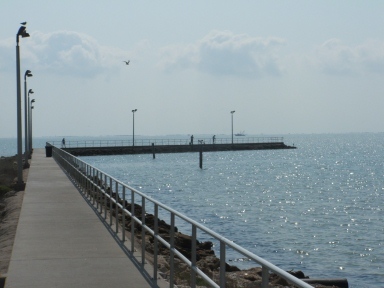 The Rockport/Fulton area is known as the "Charm Of The Texas Coast". You will find the locals to be friendly and helpful. The local Chamber of Commerce (located in the harbor area) has a wealth of information about festivals, and other local events. 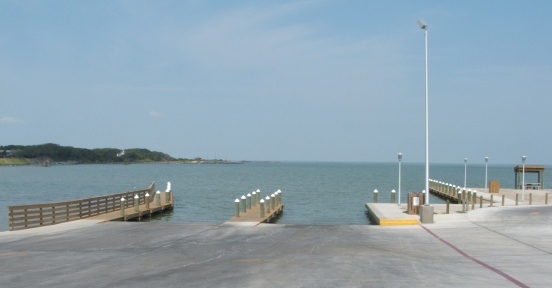 The Harbor is located in downtown Rockport, where you can find some of the best shopping in the area. Local Attractions: Aquarium at Rockport Harbor, Maritime Museum, Rockport Center For the Arts, Rockport/Fulton Chamber of Commerce, Women's Club Of Rockport (open invitation to card players). Water Directions: Rockport Harbor can be reached from the GCCW by heading to the mainland (west) from marker 49 on a heading of 309° magnetic. Water depth is about nine to ten feet with no distinct Rockport Channel Markers until you near the harbor. Head for the tallest microwave tower from marker 49, you will see the Maritime Museum Lighthouse in the distance. The harbor entrance is to the left (south) end of the harbor. 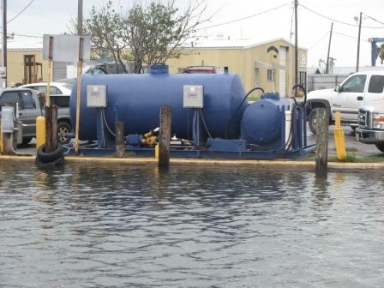 For further assistance call 1-361-385-0524. 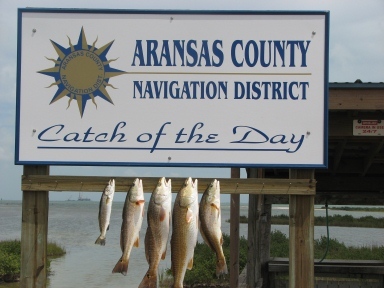 VHF channel 16 is monitored during normal business hours and can be reached by hailing "The Aransas County Navigation District" (ACND) or "Rockport Harbor Master". 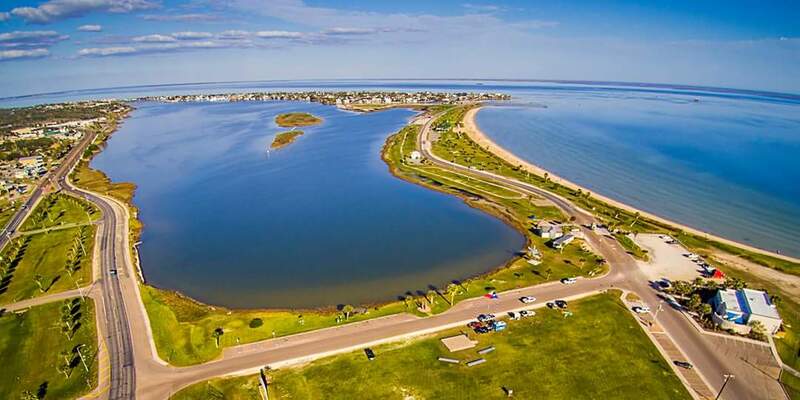 Calling "Rockport Harbor" may get a response from the Rockport Yacht Club and/or the ACND. 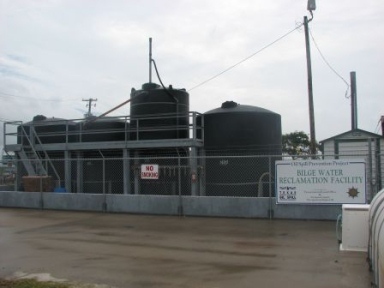 On-Site Services: Public restroom facilities, with private transient shower and laundry facility. Taxi service available. 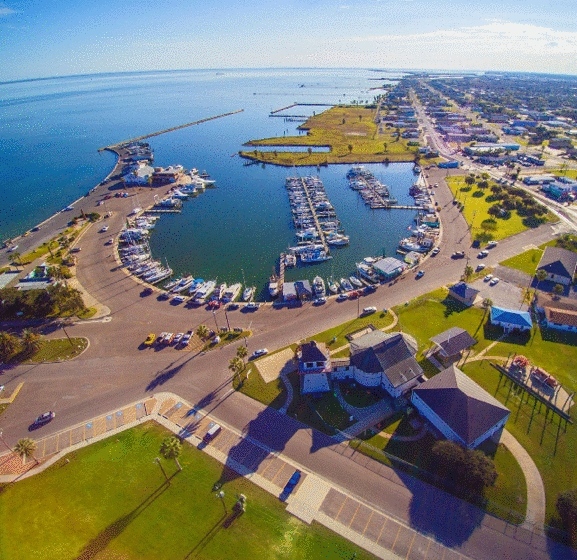 Numerous hotels/motels and restaurants within walking distance of harbor.